OYO, the company we look to for budgeted hotel stays has launched its new product- The neighborhood friendly hotel, aka OYO Townhouse which will redefine comfort, price and convenience. The OYO Townhouse is targeted towards the millennials who are always travelling, making life happen and want the best of everything in very little time. It’s essentially meant for young frequent travellers. The concept isn’t too far from home. OYO Townhouse is designed to complement its neighbourhood, which means the set-up is in the middle of a happening and bustling neighbourhood and the travelers will experience the local area as much as they wish to. The upcoming space is equipped with some fabulous features. They have combined a hotel with a homely feel along with a merchandise store and a café to fit in one space. So when you’re living in the spacious rooms they offer, you can eat some healthy food, go gym-ing, work out of their in-house café or shop at their eco-friendly store. They offer co-working space to work out of if you’re a resident staying around an OYO Townhouse, in case you’re looking for good internet with a cuppa in your hand. The first property launched in Gurgaon last month and is doing fairly well. The second one is now launching in one of South Delhi’s most happening neighbourhood. They are going to open 250 of these across 12 cities by the end of 2017. So if you’re travelling for work or pleasure, checking in will just be a click away. They’re available for bookings through the OYO app. 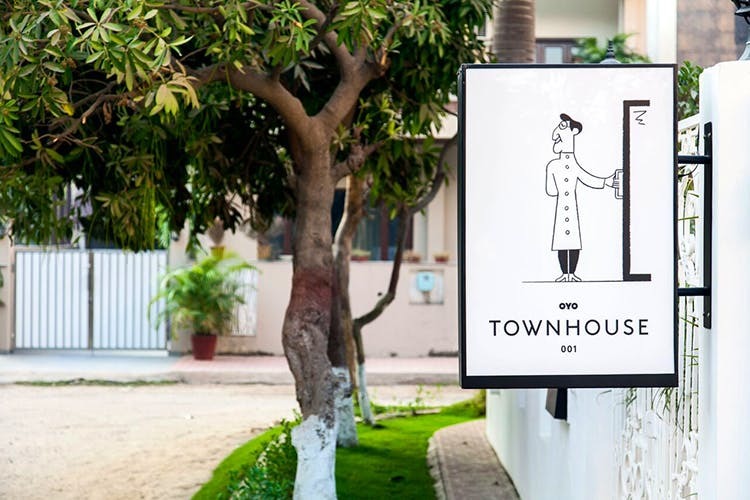 OYO Townhouse is here to cater to a new generation of city dwellers and travellers who want to experience some kickass budgeted luxury with smart rooms, friendly service and some innovative community building experiences.